Help Dr. Love create communities of love! Put your relationship skills to the test as Dr. Love, a researcher whose mission is to equip men with the personal skills they need in order to attract their perfect partners. Guide potential lovers to their appropriate development and training stations to ensure that they gain the qualities desired by women! 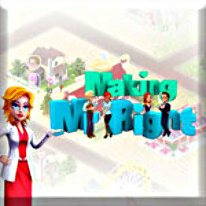 This fast-paced, life-changing simulation game will prove that finding love is all about honing the right techniques.